So now we know for certain; no new indictments, no Russian collusion, no obstruction of justice charges. Pundits are spinning this as “evidence that the system works.” Well, history will be the final judge of that. Because it will take time, maybe a long time, before every piece of those puzzles can be found and put in its proper place. Clearly, investigative opportunities were neglected, ignored or simply avoided. But by whom and for whom? Someday we will learn. Until then no one has any right to claim “the system worked.” It most assuredly did not. And for that America’s long nightmare will continue. As a retired investigative reporter focused on government scandals over several administrations, spanning from Ronald Reagan through Bill Clinton, my perspective may be broader than most. After covering scandals, from Iran-Contra through the looting of our savings and loan industry, I learned something that explains why so few — if any — high-level players ever see the inside of a courtroom, much less prison. 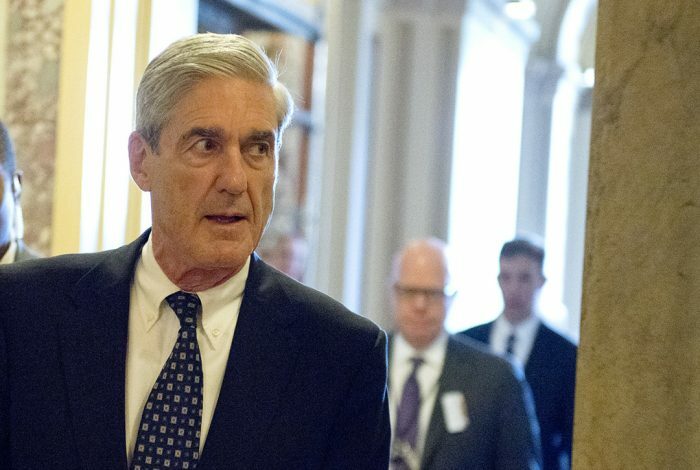 First, I was amazed that, no matter what the stage of a federal investigation, many investigative journalists knew more about what was going on at the grassroots level of these operations than the feds did. Federal investigators viewed these events from the macro level, viewing events from 30,000 feet, as it were. Reporters, not having access to classified materials and not having subpoena powers, had no other choice but to crawl through the weeds at ground level. And, what we found in all these scandals were more often than not casts of characters that would get you laughed out of the room if you were to try to put them in a screenplay. They were beyond cinematic, but rather bordered on the absurd. Which, as it turned out, was a feature of these events, not a bug. During our investigation into just who was making off with billions of dollars from failed savings and loans, my co-authors, Mary Fricker and Paul Muolo, learned from several sources — backed up by lots of circumstantial evidence — that the CIA was a player, using footloose thrifts to gain funding for the Contras that Congress refused to allocate. 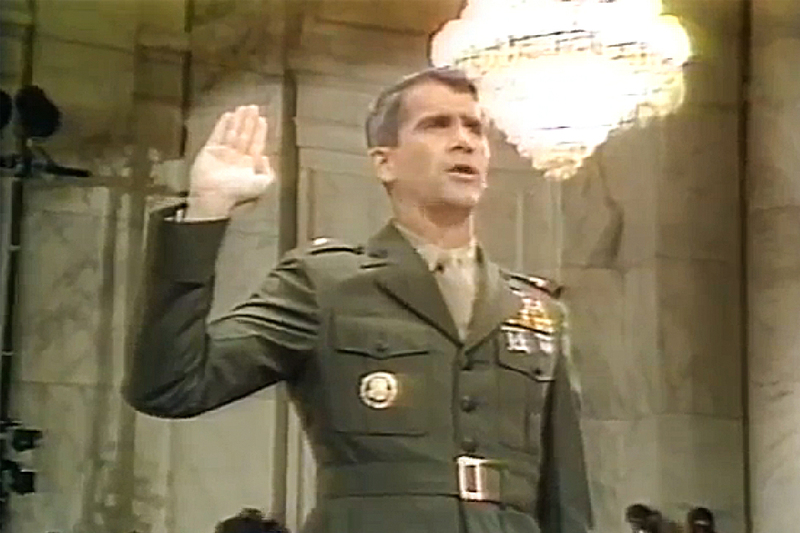 Oliver North is sworn in by Senator Inouye on day 23 of the Iran-Contra Investigation, July 7, 1987. Now it’s important you understand that these cons were, well, real characters. Take Joe Kelso, a man who was first caught trying to sell a ground-to-air missile to an ATF undercover agent in Denver. He was arrested, and then sprung from jail by a lawyer who said he did not know who paid his fee. Kelso then disappeared into eastern Europe, where he allegedly was working undercover for the DEA. He got there using professionally produced fake passports. His next appearance was in Oliver North’s diary, when he was arrested in Costa Rica by police. Thereafter he showed up in John Hull’s secret Contra supply camp. Kelso was an associate of several cons who were part of the looting of Aurora Bank in Denver. This is just one of at least a dozen cases that left us certain that the CIA had played some poorly understood role in the secret, and illegal, financing of Contra operations. But at every stage, we could only get so far before the trail disappeared. We only got one break in that Denver story. A retired CIA field supervisor agreed to talk, if just a bit. We asked him why we kept running into so many “colorful” characters claiming, when arrested, that they were working for the CIA on an approved operation. “Yes,” he replied while laying his own recorder on the table. We find those kinds of people at places like small county airports and firing ranges. We are looking for Walter Mitty types. We approach them, show them our IDs and ask them if they’d like to serve their country. The first thing we do is put them with someone else we just picked to spy on for us. Then we give them a job that could get them arrested. When that happens we get them out, and after that we own them. But, we asked, they tell everyone they blow the CIA’s operations by talking. What sense does that make? And, in my experience, it works. When I learned Joe Kelso was dead I hoped records would emerge. But all that was left on the floor of the storage unit were a half-dozen fake gold certificates with face values in the hundreds of millions of dollars each. Kelso died in abject poverty. Were those fake certificates left on purpose, to seal the cover story that he was just a brazen con? We’ll never know. All we know for sure is that Oliver North certainly was keeping track of this guy. I only mention all this to provide the profile of just one of the dozens of such characters who, to this day, fill my filing cabinet of government-involved scandals that ended with more a whimper than a bang. 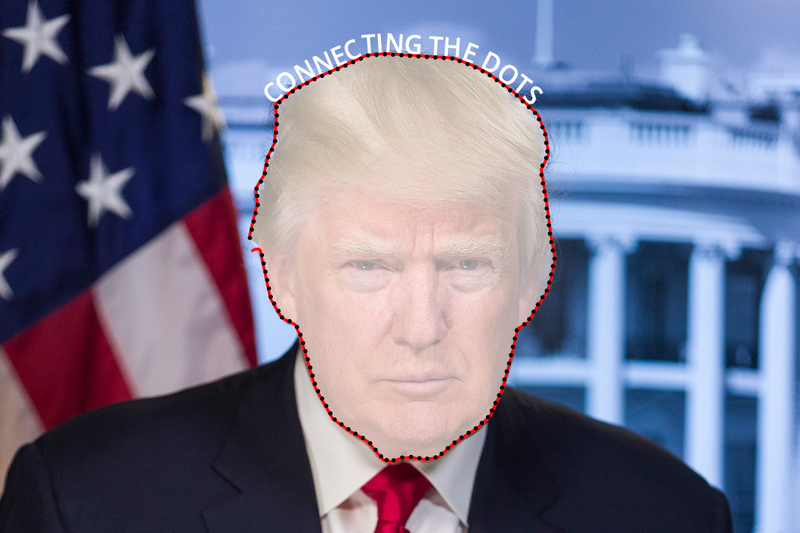 Which is why I will understand if Mueller ends up failing at connecting the dots all the way to an indictment of Donald Trump, or even proving “collusion” with Russian actors. After all, if our own intelligence services can cover their tracks so well, Russian intelligence is even better at it. Russians don’t rely on discrediting a threatening source, they just kill them. End of trail — dead end. Then he cut off contact.